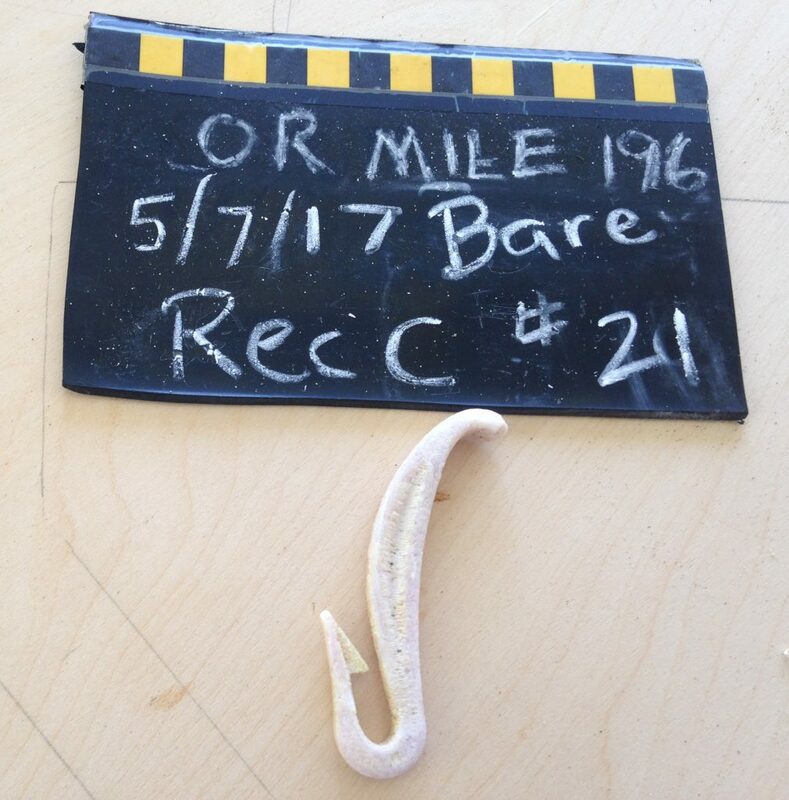 This object was recorded as part of a COASST Marine Debris survey at Oregon Mile 196. Do you know what it is? This entry was posted in Marine Debris on 30. June 2017 by coasst. looks like a bone fish hook. Possibly an archeological artifact. I would contact a local archeologist. My first thought was that it looks like a somewhat worn fish hook necklace done in Maori or Pacific Islander style (e.g. http://www.ebay.com/bhp/maori-fish-hook), presumably lost by a swimmer or surfer?